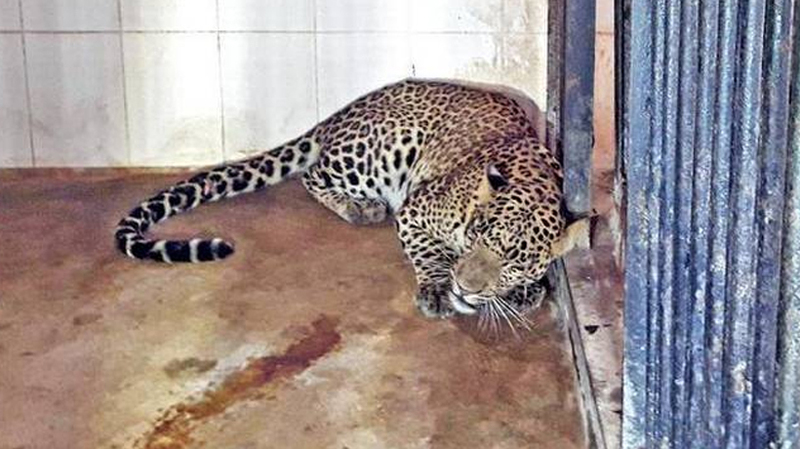 Kottayam: A leopard died after getting caught in a trap laid by a person near Kochi. The 10-year-old leopard was killed as a cable in the trap entwined and choked it to death in Ayyampuzha village panchayat in Kannimangalam on Wednesday night. The forest department has registered a case against the landowner. The area is near the forest and inhabitants are constantly troubled by wild animals, police said. Recently, a calf was taken away by some wild animals and people in the area were living under fear. No one was aware of the leopard getting trapped as it was first noticed by rubber tapping workers. They informed police and forest department staff. By the time forest personnel reached the spot, the leopard’s condition had worsened. Assistant forest veterinary officer Dr Fiji Fernandes examined the animal and found it dead. The Post mortem report said death was due to fatigue.